The most likely reason for asking about how to know if you have brain cancer is that the person or a loved one has experienced some symptoms that are suspected could (but hopefully not) be caused by brain cancer. There are many related questions that follow and this series is a result of research into the various aspects of the issue of brain cancer, including treatments and outcomes. Research shows that there are areas of agreement as well as areas of disagreement amongst those that provide care and advice. Additionally, there are conflicting reports from brain cancer patients and family members of patients as to the value and effectiveness of both methods of diagnosis as well as treatment choices. o numbness or tingling in the arms or legs. None of the symptoms are unique to brain cancer so they must be taken as indicators only. Also, symptom onset can be quite gradual and is often overlooked. It is quite common for different medical organizations or practitioners to provide differing lists of the most common brain cancer symptoms. 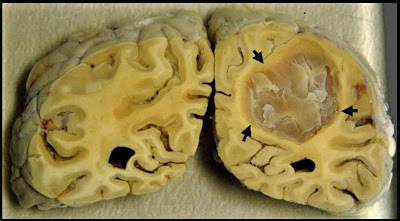 This appears, in part, to be due to the various parts of the brain that could be cancerous and thereby affecting the different parts of the body that are associated with the affected part of the brain. All research sources were quick to point out that symptoms are not a sure sign of cancer. When asking how to know if you have brain cancer it is important to know that other conditions could also cause these symptoms. Addition articles in the series soon to be released include statistics, diagnostic choices, treatment choices, what questions should you ask your doctor, is it possible for a cancer patient to ever be cancer free, and patient testimonials (including miracle results).